Cloud forests, generally located in tropical or subtropical areas, derive their name from the dense ground-level clouds that frequently cover the area, even in their so-called "dry season". Due to the high persistent moisture content, cloud forests have an abundance of vegetation and mosses. 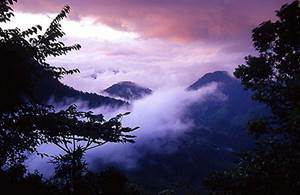 Most cloud forests are between 3000 and 8000 feet (1000 and 2500 meters) in altitude. 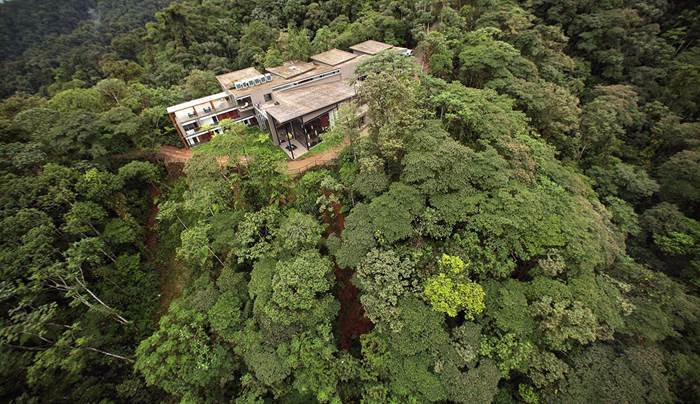 Because of their altitude, cloud forests are cooler than rainforests. Another difference is cloud forests have fast moving, clear rivers, while rainforests are characterized by larger, silt laden, slow moving rivers.